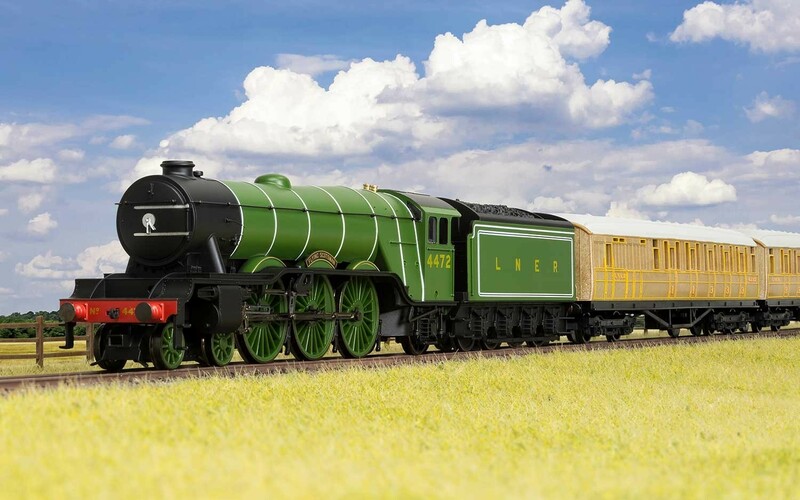 The A1 Flying Scotsman is probably the most famous train in the World that ran between London and Edinburgh in the 1930s. In its time this locomotive was right on the cutting edge of technology and managed to drastically cut the journey time between London and Edinburgh. 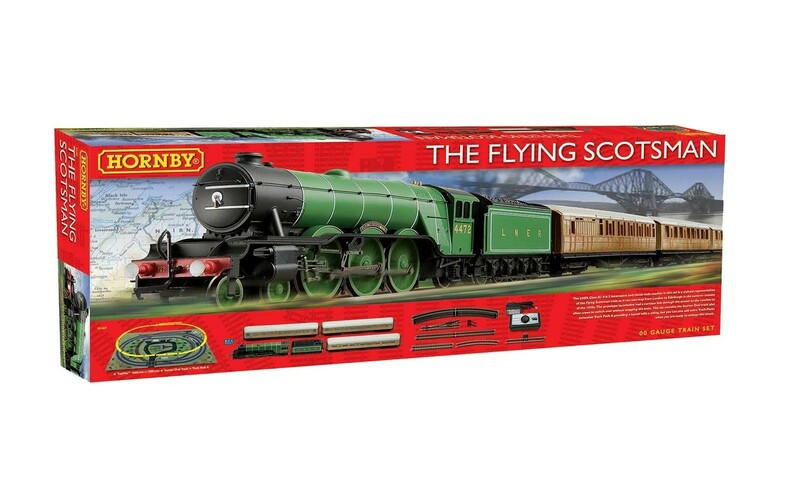 This starter set help to recreate the heady days of the Flying Scotsman when the competition between LNER and LMS were at their height. 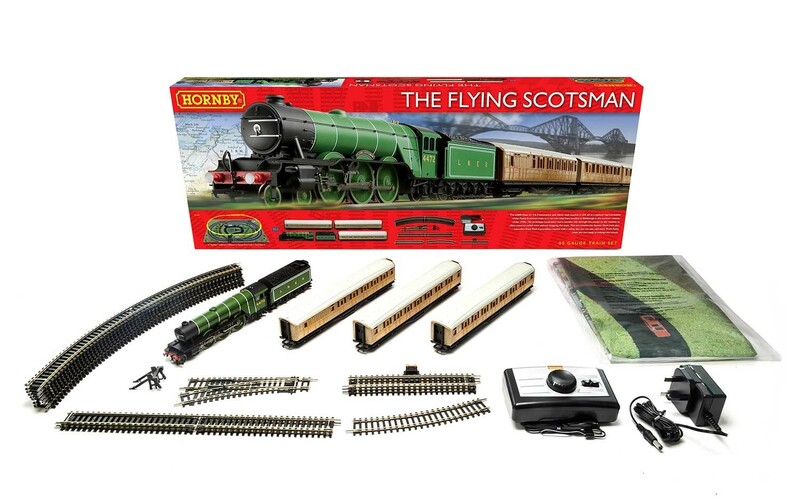 This set includes the A1 Flying Scotsman along with three period carriages, an oval of track as well as a point and siding. This can all be put on the midimat that is also in the starter set. 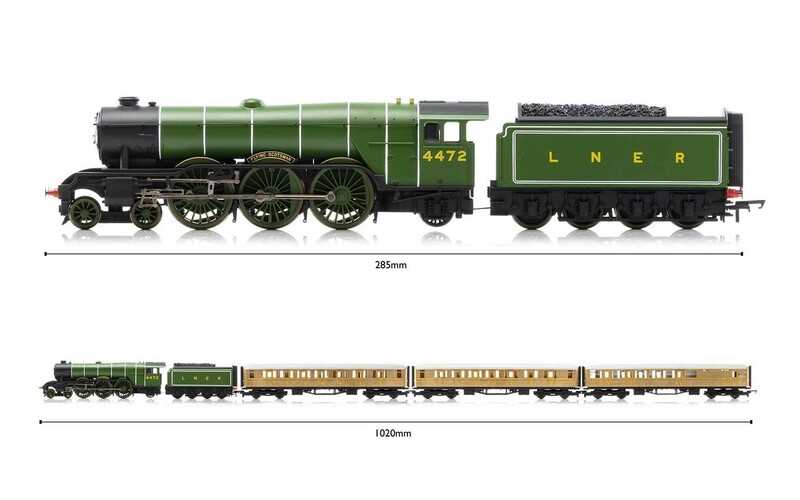 This set can be extended by using the Hornby Extension packs.